Assassin's Creed 4, Call of Duty: Ghosts, Watch_Dogs, and Battlefield 4 are all coming out before (or around) the release of the next-gen console's release. In an effort to prevent consumers from missing out on multiple weeks with a game in waiting for PS4 copies, Sony is offering an upgrade policy. 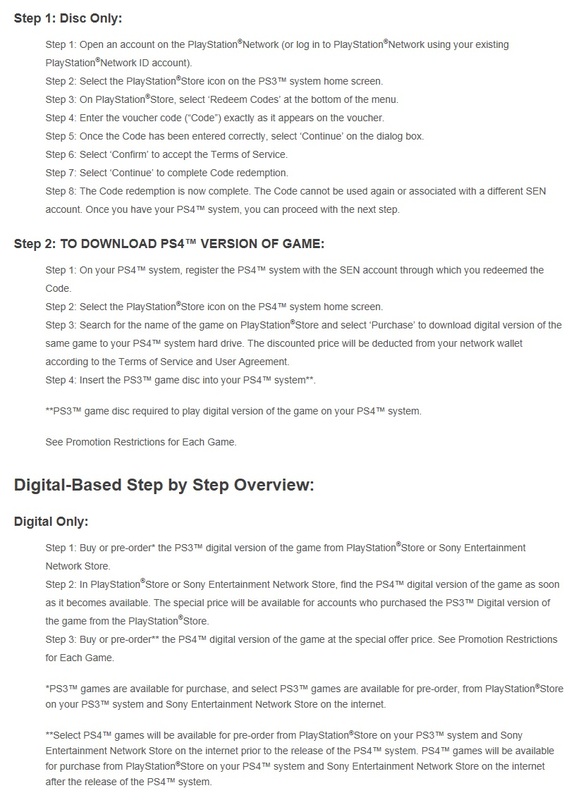 Check out below for their policy pulled right from Sony's site. It's definitely something worth going for considering that a game like Battlefield 4, 3 weeks is a long time to not play a game your friends are playing. $10 extra. Not bad Sony. Is this something that interests you? Let us know!